Happy Monday to you guys! I hope you had a great weekend. Mine was good, busy but good. My son had his first soccer game ever, it was cute watching them all just run for the ball. 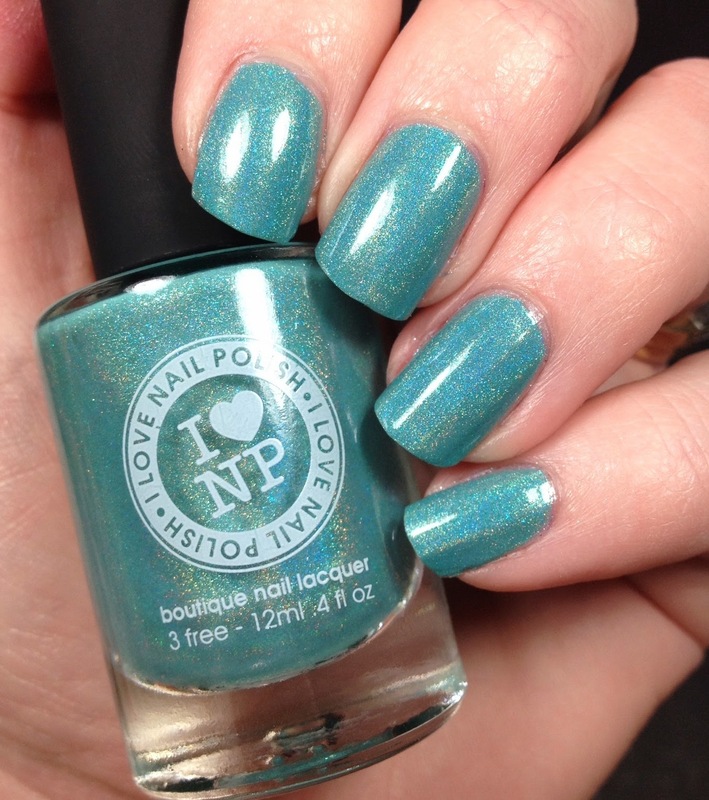 Today I have another I Love Nail Polish (ILNP) polish for you, this one is in the color Music Box. 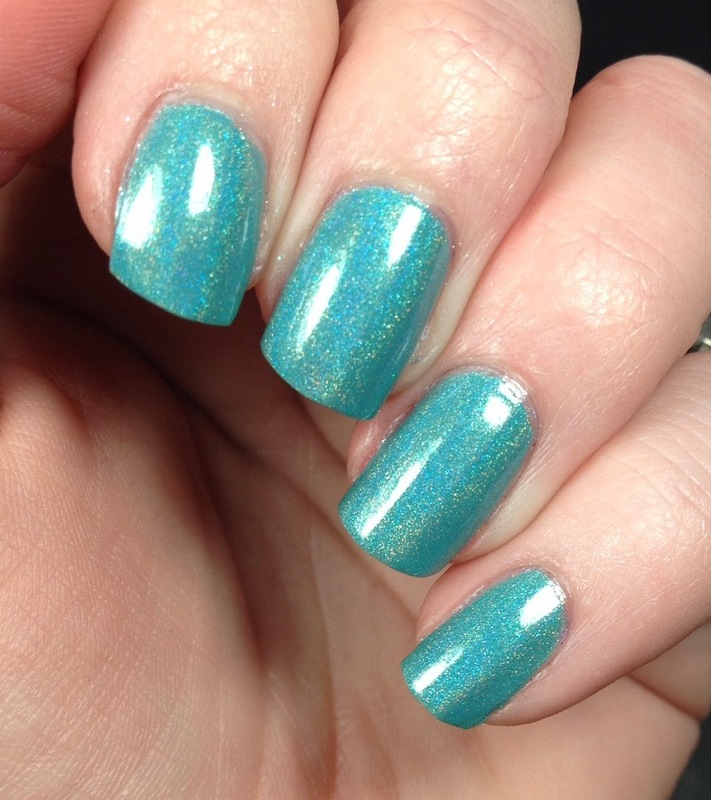 It is a teal holographic nail polish. So beautiful. I know I say the same thing about the ILNP polishes but they really are a great quality. I will always gladly spend the money on these. Worth. Every. Penny. Three coats over Rejuvacote and topped with Glisten and Glow HK Girl topcoat. Man I love these. I cannot wait to hear what the next collection is. I am SURE there will be many that I want! ILNP is just so pretty and you wear it beautifully! That is gorgeous! I want it now.